Magic: The Gathering implements a popular format called "commander" where decks are built of 100 cards, and each card, besides basic lands, may only have one copy. This diversifies games by showcasing a much wider variety of spells, many of which would otherwise fade into obscurity. 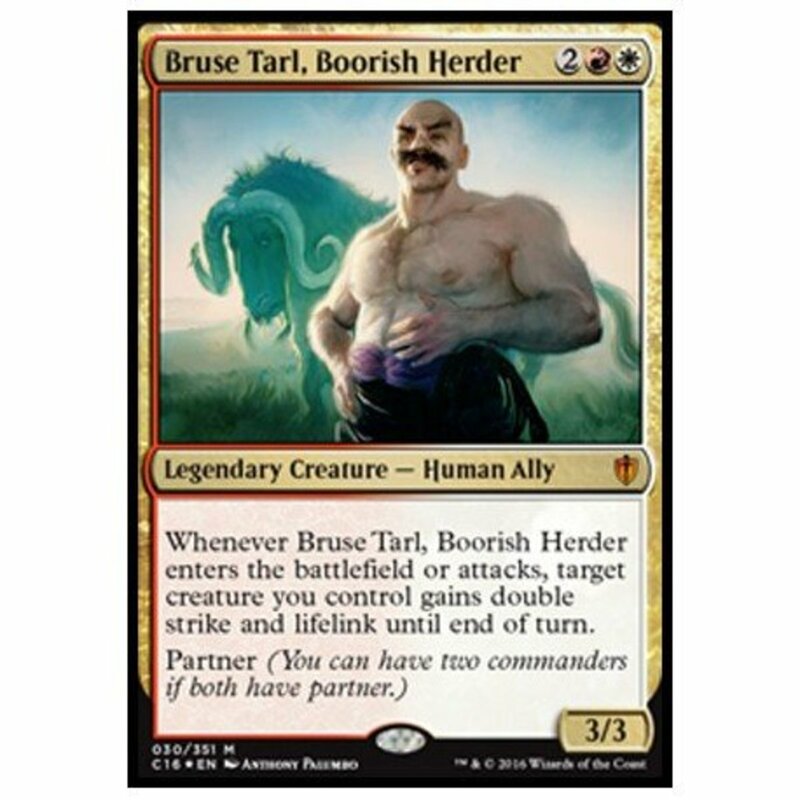 Additionally, players select a legendary creature to serve as their commander, a card always available to them throughout the match. The color(s) of your commander dictate what color cards may go in your deck, and since it's the only card of 100 you know will appear in every game, you'll want to build your deck to support its abilities. But with hundreds of options to choose from, which creatures are worth using? 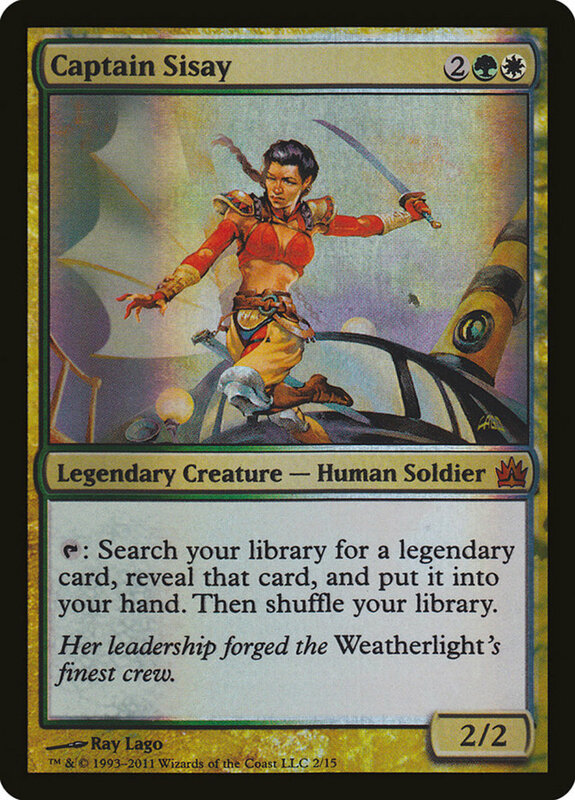 These are the ten best (legal) commanders in Magic! Mono-red decks tend to struggle in commander because their direct damage strategies are geared for the lower life counts of standard play. 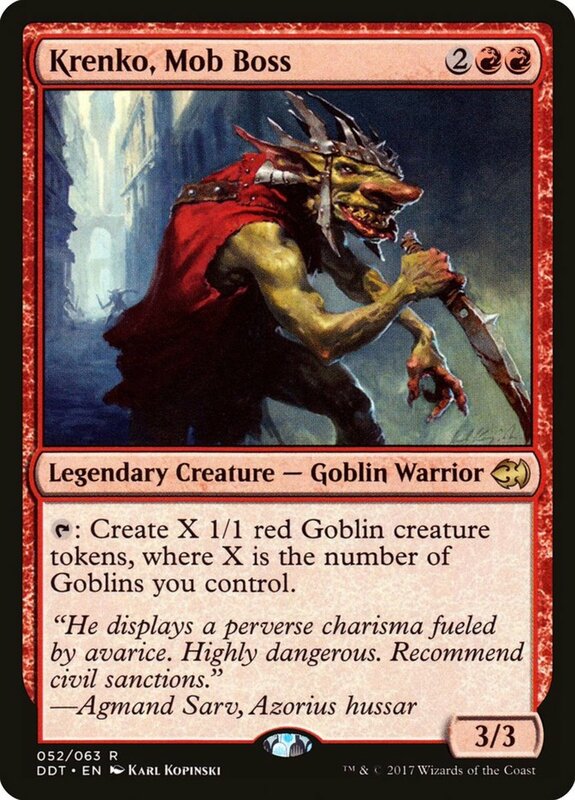 However, Krenko here helps battle that stereotype with a worthy ability: you can tap him to place X 1/1 (one power and one toughness) goblins onto the field, where X is the number of goblins you control. Krenko himself bears the goblin subtype, guaranteeing at least one, and your goblin deck will likely add more. Then, on later turns, the tokens themselves will add to the count, soon granting you an almost-infinite army ready to swarm your opponent! The abundance of goblin and goblin-supporting cards in red further ensure the prowess of Krenko builds. Unlike many commanders, with Skithiryx you're playing for a swift victory rather than a drawn-out match. Your goal is to use various black ramping techniques to quickly amass five mana, summon Skithiryx, and hit your opponent a few times using his infect ability. With infect, your adversary can only take 10 damage from him before they accumulate enough poison counters to lose. 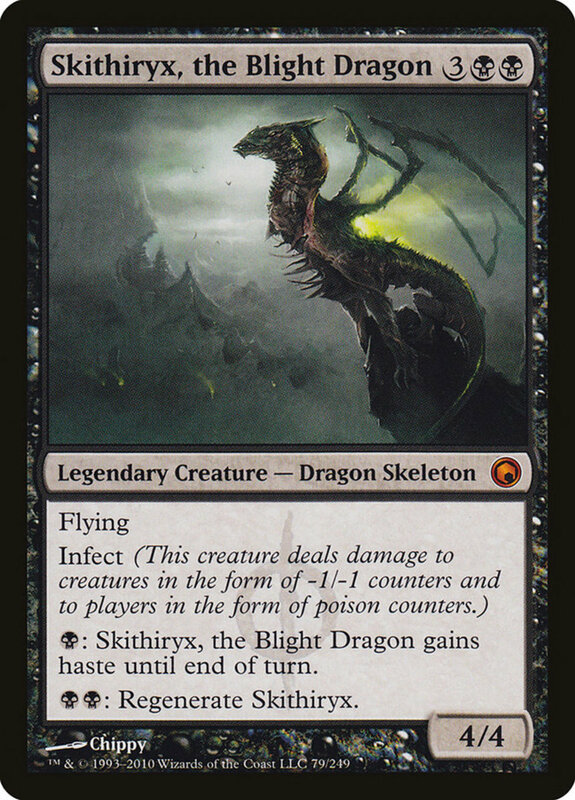 Skithiryx also wields flying (enabling him to soar over non-flying blockers) and two mana abilities, one of which grants him haste (letting him attack the turn he arrives), and the other regenerating him if defeated. These traits ensure Skithiryx can strike quickly enough to rack up those counters, and gives him a means of protection if your opponent counters with a removal. Two commanders share this spot, as they both wield the partner ability, letting players have two leaders instead of one. Akiri and Tarl share red and white for their hues, and their varying mana costs help ensure you never "waste" your mana for the turn by giving you more spells to select from. 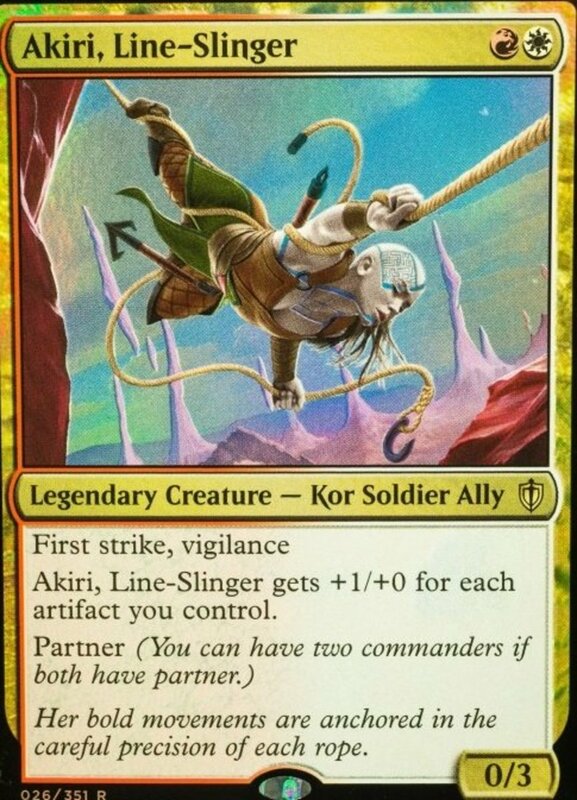 Akiri wields first strike, vigilance, and she strengthens her power for each artifact you control; Tarl grants one of your creatures lifelink and double strike whenever he attacks or enters the field. Combined, these two allow for a superb equipment deck, where your creatures will ravage foes with the boosts provided by their artifact gear. 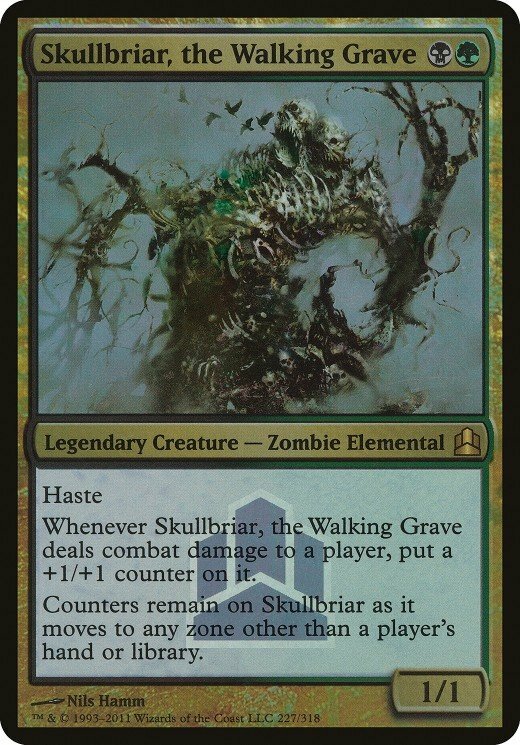 Like Skithiryx, Skullbriar plays for a quick win rather than the long haul. However, it costs only two mana and also accesses the valued green color, superb at mana-ramp. Although Skullbriar starts off with only 1/1, its low cost and haste ability mean you can attack with it very early into the game. And you'll want to, as Skullbriar gains +1/+1 whenever it deals combat damage to a player! Additionally, Skullbriar retains counters on it even if it dies, making it challenging to stop. Even if your opponent kills it, you can just recast Skullbriar with the same strength it died with, ready to strike immediately thanks to haste. Be sure to combine Skullbriar with cards that bestow unblockable traits, like Whispersilk Cloak, to score an early commander-damage win. 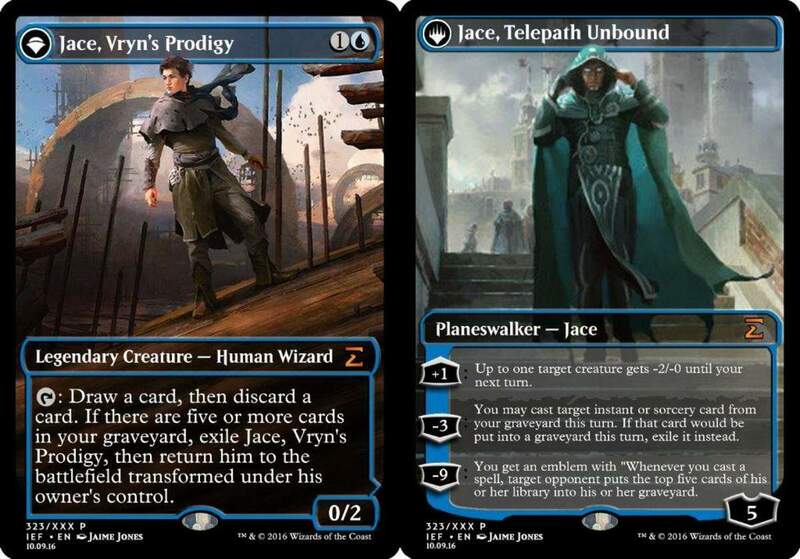 Blue-toned Jace begins play as a creature but turns into a planeswalker after activating his ability with five or more cards in your graveyard. The ability lets you draw a card, then discard one, a great way to cycle through your library and keep what you need. This also sets up for Jace's planeswalker -3 loyalty ability, where he lets you cast instants and sorceries from your graveyard. Beyond that, his +1 weakens a foe's power by two for the turn, and his -9 discards from your opponent's deck whenever you cast a spell, potentially leading to a no-card-to-draw win. Perfect for counter-centered decks, Jace helps you rift through your deck while soon offering an inexpensive planeswalker to harness. Green and blue Thrasios and Kydele wield the partner trait, allowing both to be used simultaneously. Again, the varied mana costs help ensure you can access spells matching your mana production, and their colors form a strong combination. Green ramps mana and provides powerful creatures while blue draws cards and counters opposing spells. 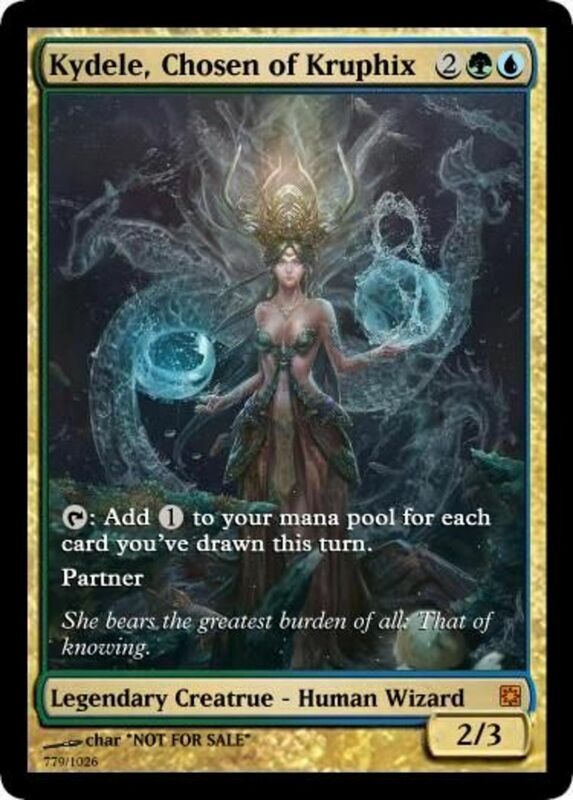 Additionally, Thrasios wields a nice mana ability that will either give you an extra land or draw a card, and Kydele can tap to provide mana for each card you've drawn that turn. Finally, both commanders wield the wizard subtype, offering even more ways to tailor your deck to them. 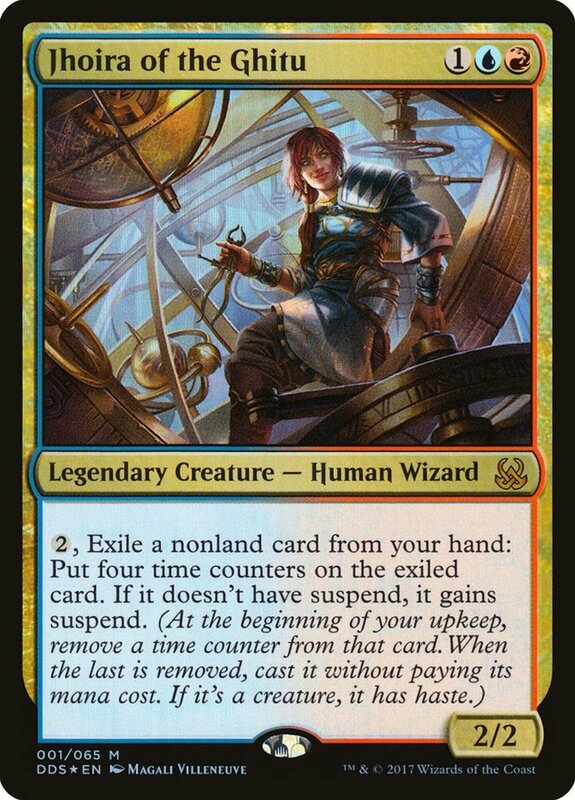 Sisay only possesses 2/2, rather low for her four mana requirement, but her superb ability lets her tap to search your deck for a legendary card and add it to your hand! This gives you an extra card each turn, and because you get to pick what you get, ensures you always have something suitable to play. Green and white combined gain access to several counter-negating effects, helping you safely utilize your famed creatures without worrying about being countered by pesky blue abilities. 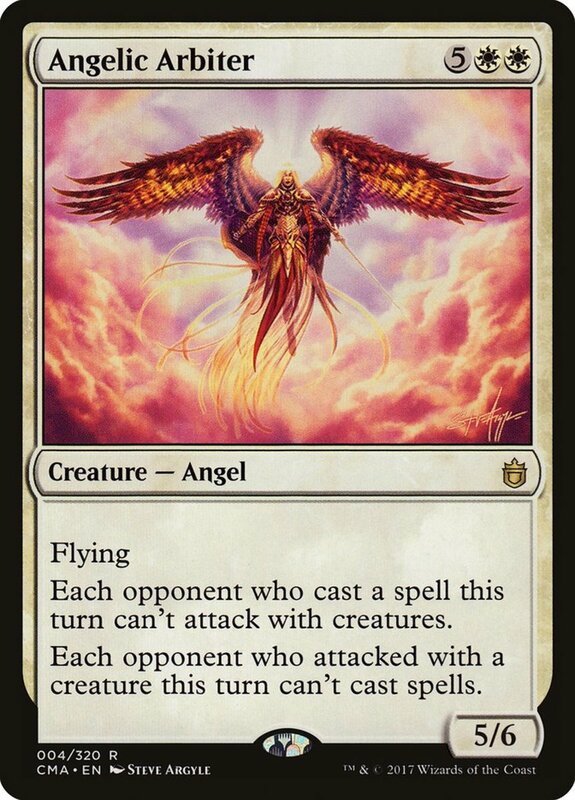 Kaalia's three colors (red, white, black) strike a nice balance between offering diversity to your deck without over-saturating it; play a commander with too many colors, and you run the risk of drawing the wrong types of land for your current hand. 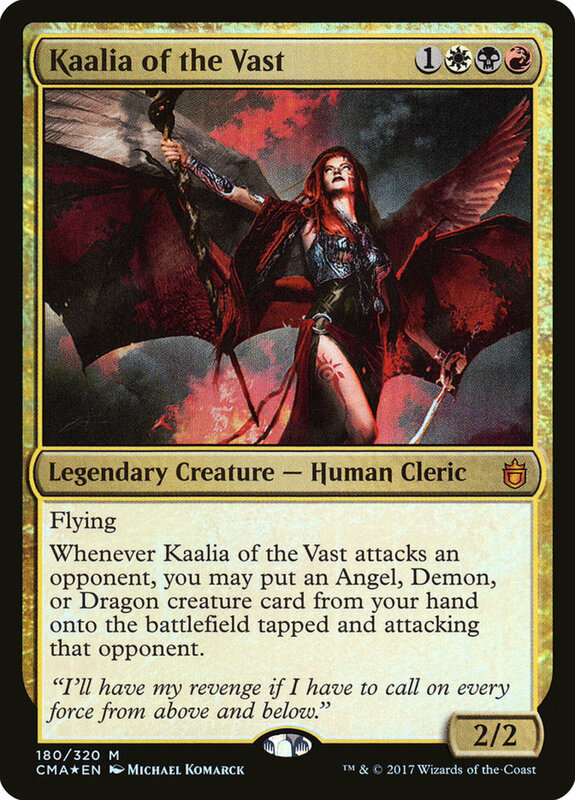 Kaalia arrives with flying and a stupendous effect: whenever she attacks, you can put a dragon, angel, or demon from your hand tapped and attacking alongside her! 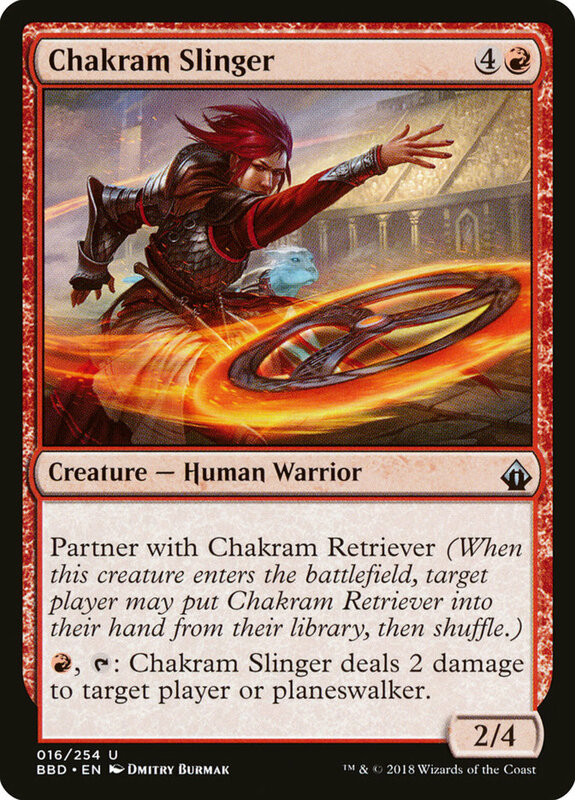 This is a great way to gimmick strong creatures onto the field far before you have accumulated the mana to cast them. Try equipping Kaalia with protective equipment to ensure she lives through her attacks and can strike again later, slipping additional fearsome creatures onto the field and check out some awesome cards for her strategy here! One of my all-time favorite cards, green-hued Omnath only costs three mana and gains +1/+1 for each green mana in your reserve. Even better, your green mana won't fade as phases and turns end, allowing you to save unused mana for future plays! This lets you play high-cost spells much quicker while also buffing Omnath to insane proportions, making a commander-damage win not only possible, but probable. 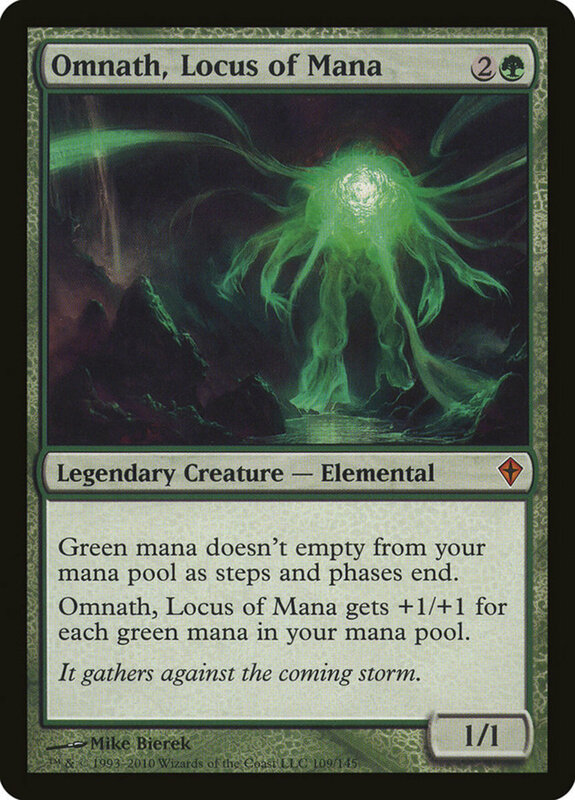 Be sure to give Omnath the trample ability using other green cards to help him draw blood with each blow. A superb general for your army, feel free to browse my own Omnath ramp deck! Atraxa simultaneously gives access to the best colors for commander format, serves as a great support for planeswalkers, and demonstrates terrific power even by itself. For four mana, you get an intimidating 4/4 with flying, lifelink, vigilance, and deathtouch! 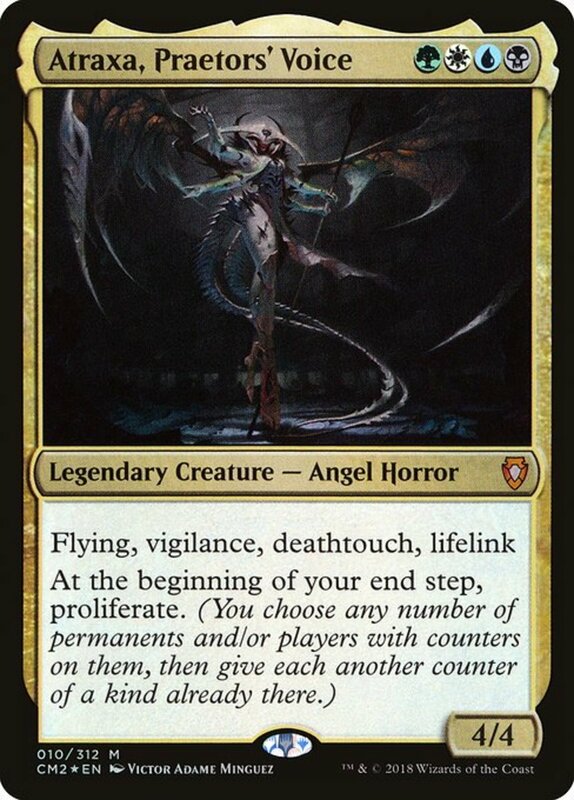 Thus, Atraxa flies over grounded opponents, heals with each attack, doesn't tap when attacking, and kills opponents no matter how high their toughness. Then, the proliferate ability lets you choose any number of cards with counters at the end of your turns, and add an additional counter of the same type to the card. 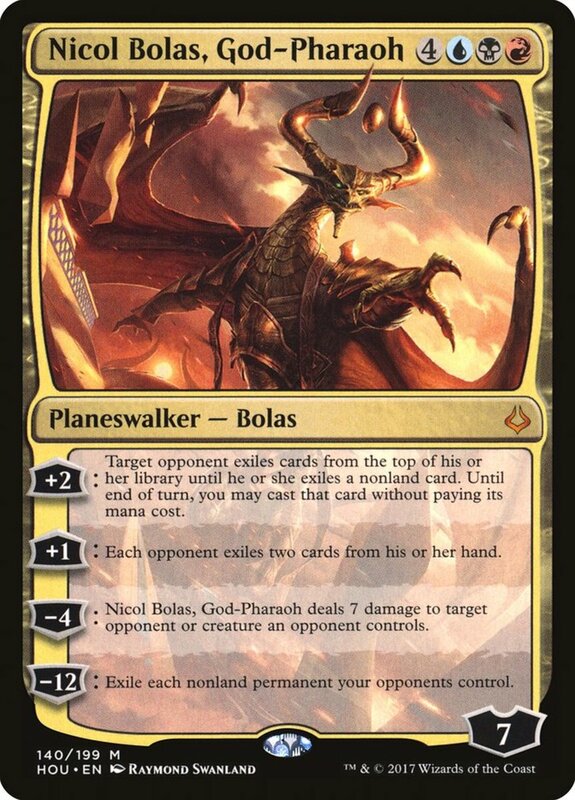 This includes the loyalty counters of planeswalkers, letting Atraxa skyrocket their loyalty and have them use their ultimate effects much sooner! Atraxa's power is so fierce that players often call her builds "super-friends" because of how much support she provides planeswalkers. Which commander do you prefer? Hopefully I've introduced you to a wide variety of decks with numerous strategies. 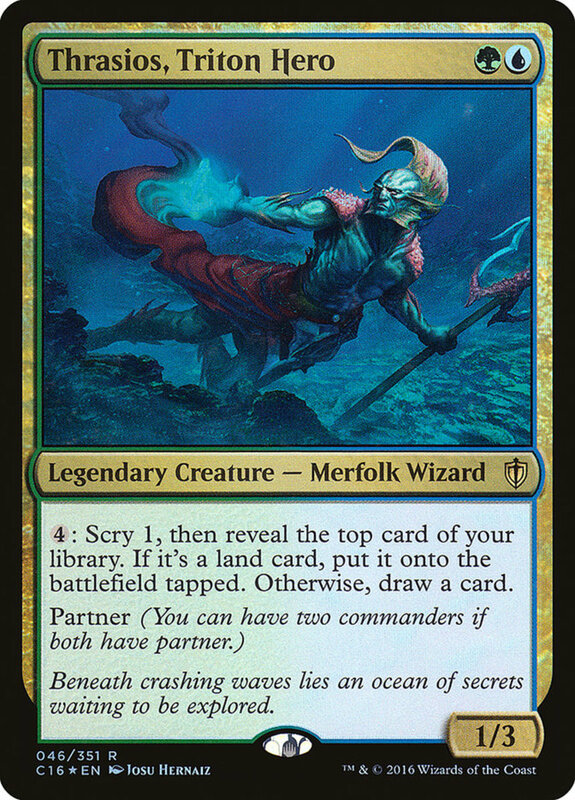 From Krenko's swarming to Skithiryx's infect to Omnath's mana-ramp, you're bound to find a commander out there to suit your playstyle. Before entering official play, make sure you check the current ban list to ensure your choice remains legal, but for now, vote for your favorite entry and I'll see you at our next Magic countdown! 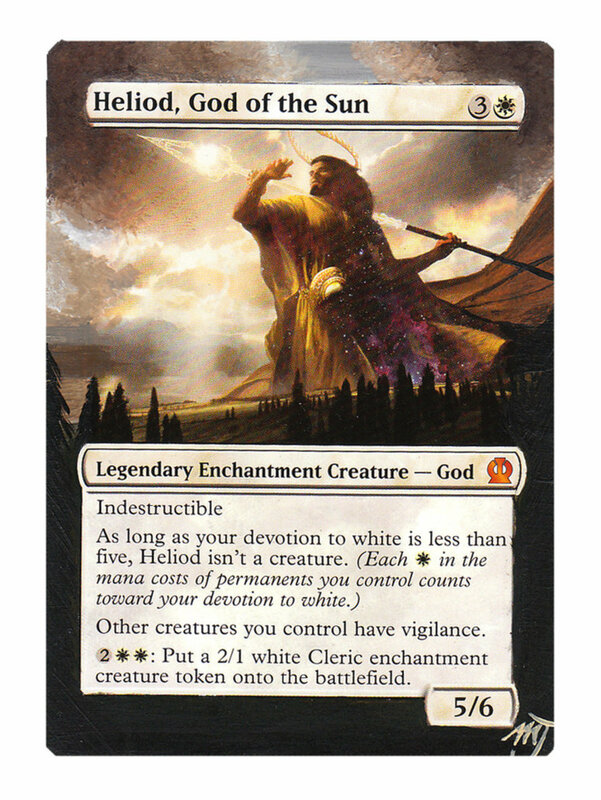 Why use alternate artworks of Magic: The Gathering cards? Magic cards are notoriously difficult to find high-pixel images of. Using their default art typically results in pictures that are way too small; alternate artwork often solves the issue while exposing even veteran players to new visual treats. A great list, I see most if not all of these at casual tournaments I play. The only thing that warrants a mention here is Sliver Overlord. 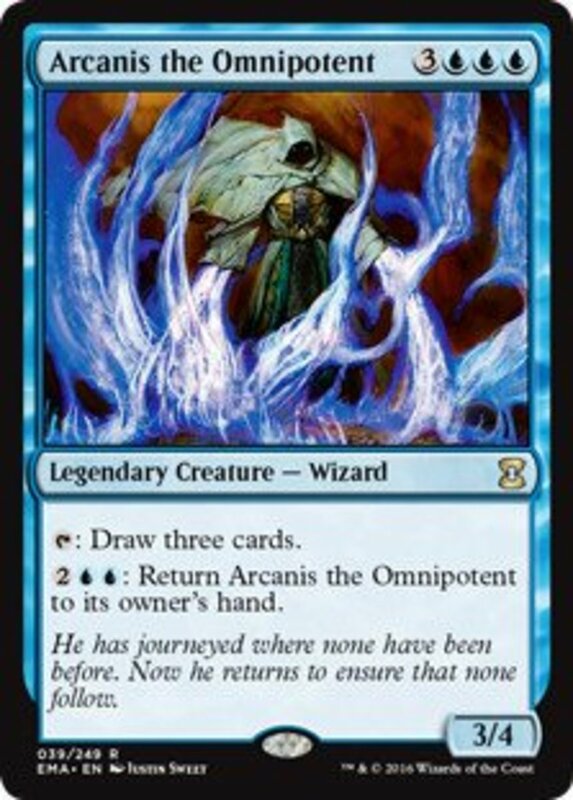 I use both an atraxa infect deck or a slavala heart of the wilds deck that includes omnath...and without a doubt the only real deck I fear are sliver Overlord or blue white control. Personally i think they should have Kresh, the Bloodbraided in there. He's one of my personal favorites and always turns into a monster to deal with.